Those of you who are really into green stuff may hate me for saying this, but the Smart Car is one of the ugliest vehicles on the road. I mean if I had to choose between the Smart Car and an AMC Pacer, it would be hard to decide. Just when I though the Smart Car had reached the zenith of ugly rides, it goes and gets uglier. 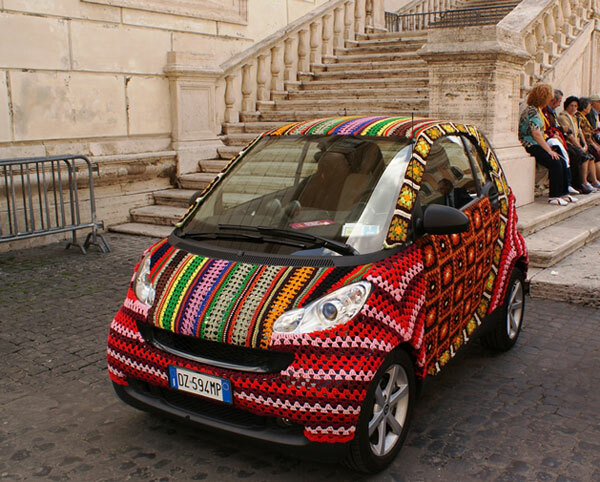 Someone has spent a ton of time lovingly crafting a crochet car cover for their Smart Car. My grandmother would be duly impressed were she still around. 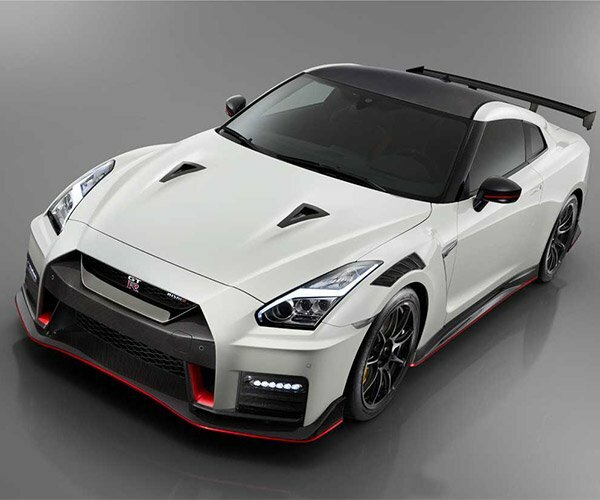 I may not like the looks of the car, but the workmanship is superb. The pattern and colors change on each body panel to keep the car from looking the same everywhere. I guess the cover is sort of like a hat and you can pull it off and wash it. I wonder if the doors open with the crochet cover on the car or if you have to remove it to open the door.